The team of guys who brought out Dingo Casino say they are gaming fans whose ultimate mission is to pack together only the best games and introduce them to the gambling audience. 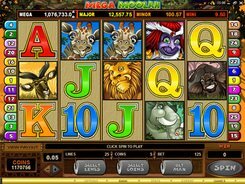 Indeed, they have done a very good job from various points of view: Casino Dingo visitors will see here lots of awesome pokies from nine providers, an emolumentary welcome bonus and superior cashback offers. Another point of interest in the casino are live dealer solutions from SA Gaming, a high-quality but perhaps not very hyped provider. Moneys are transferred to the casino without any verification or other identity check procedures. The methods designed for Aussies are VISA, MasterCard and Neosurf prepaid vouchers. But when it comes to withdrawal, the casino’s Withdrawal Policy is implemented. A user may be requested to provide documentation to prove his identity and residency in Australia. Note that the Know Your Customer rules established in the casino are common in the gambling industry to a greater or lesser extent. Besides, a player cannot withdraw less than A$100 per transaction and more than A$5000 per week. As concerns withdrawal methods, these are VISA and bank transfers, the latter being much slower than you may bargain for. And one last note on the financial aspect: The casino accepts Australian dollars but may charge conversion fees. In ballpark figures (as the collection expands regularly), the casino features around 200 pokies from Evoplay, Wazdan, Lucky, MrSlotty and others. 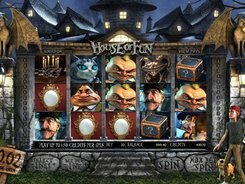 The pokies page shows the entire suite of games but players may filter out the games of one specific provider or try typing a title in a Search field to find a favorite pokie by name. It’s not easy to describe the themes and bonus features available in Casino Dingo pokies because there are too many of them out there and new ones are appearing every week or so. Just for the record, the casino has a perfect offer for the widest audience possible in terms of budget and thematic preference. Of course, five-reel solutions dominate in the collection but classic pokie enthusiasts will not be disappointed either heedless of the fact that classic games are not separated from the rest in the lobby. Live games in Casino Dingo are from SA Gaming, a not very well-known vendor with the all-Asian female croupiers. Being a kind of underdog on the gambling market, SA Gaming produce surprisingly decent live tables, the quality of which is comparable with some giants like Evolution or Extreme. Currently, Casino Dingo players may join European roulette, a seven-seat blackjack (featuring a Pair side bet), classic baccarat, Cow Cow baccarat, Fan Tan and Sic Bo. All live tables are powered by HTML5, and are therefore compatible with smartphones. Before proceeding to new-user bonuses, it is worth mentioning that every bonus available in Casino Dingo is valid for pokies from Fugaso and GS only. And now on to the subject. The package comprises bonuses on the first four deposits, up to AU$1400 in total. Each bonus is unlocked automatically upon depositing so if a player wants to opt out of being given a bonus, he should contact a support team. The playthrough for each of the four is set at x30 (depositing amount also included thereto). Both programs are based on how much the player deposited and lost. The basis for calculating a 15% weekend cashback are deposits made on Friday. The second, Monday, bonus is more interesting as it offers two options: 10% cashback with no playthrough or 25% cashback that must be wagered 50 times. No detail is provided on the maximum deposit limit covered by either promotion. Each and every deposit of no less than AU$10 may be charged with a 100% reload bonus up to AU$100, which is claimable by entering a RELOAD bonus code. The bonus + deposit balance is subject to x30 wagering. Is Casino Dingo worth playing in? Definitely, yes. This is a reliable place with proven payouts, efficient customer support and excellent pokies. The bonus program is not extensive but well selected and cashback promos are what really make a good showing. Casino Dingo occupies its rightful place in the casino shortlist on our site.